Seidio releases ACTIVE cases for iPad 2! 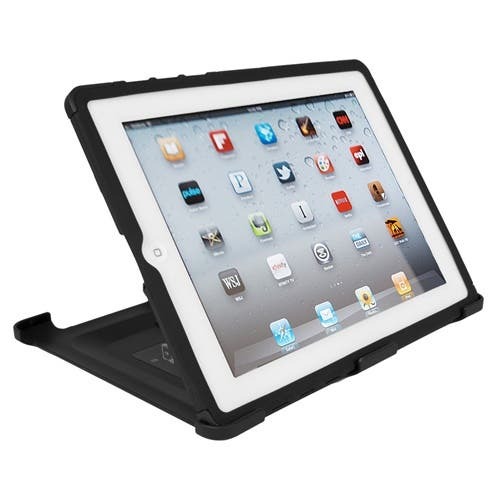 "Houston, TX - May 23, 2011 – Seidio, Inc., the leading manufacturer of mobile accessories releases an ACTIVE™ case with a convertible mounting cover for the Apple iPad 2. We are proud to introduce the ACTIVE™ for the Apple iPad 2. Our signature elements, such as our soft-touch coating, impact absorbing polymer and finger grooves for comfortable gripping remain on ACTIVE™ cases for tablets. This durable case has two interlocking layers that provide protection at carefully selected points like the corners and sides. Additionally, our ACTIVE™ for tablets includes a convertible mounting cover. This cover protects the iPad 2’s screen when it is not in use and also serves as a stand to conveniently prop up the device in either landscape or portrait. The stand is adjustable and users are able to customize their viewing experience in up to 10 different angles. Above you will find pictures of our ACTIVE™ in Black. The case is also available in Sapphire Blue and Amethyst with a retail price of $69.95. Founded in Houston, Texas in 2002, Seidio, Inc. is a leading developer and manufacturer of mobile device accessories. We’re a visionary company with a passion for innovation and an understanding of our customer’s needs. For more information on these and other great Seidio products, please visit www.seidioonline.com .